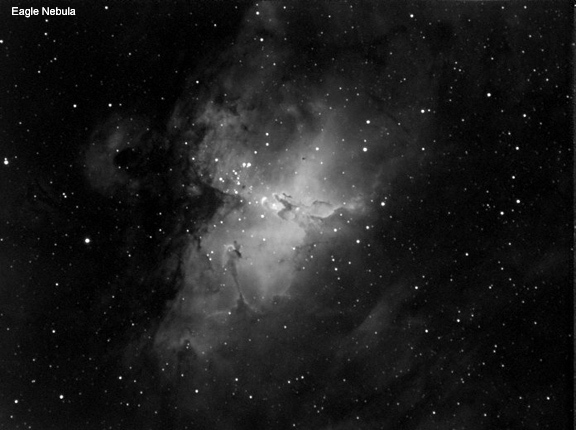 The Eagle Nebula is a 33 minute combined image taken Sunday night, processed in Photoshop. Another great shot on a sharp clear night low on the horizon. Also taken using the Orion Ha filter. Gene, one of your best, if not your best work.